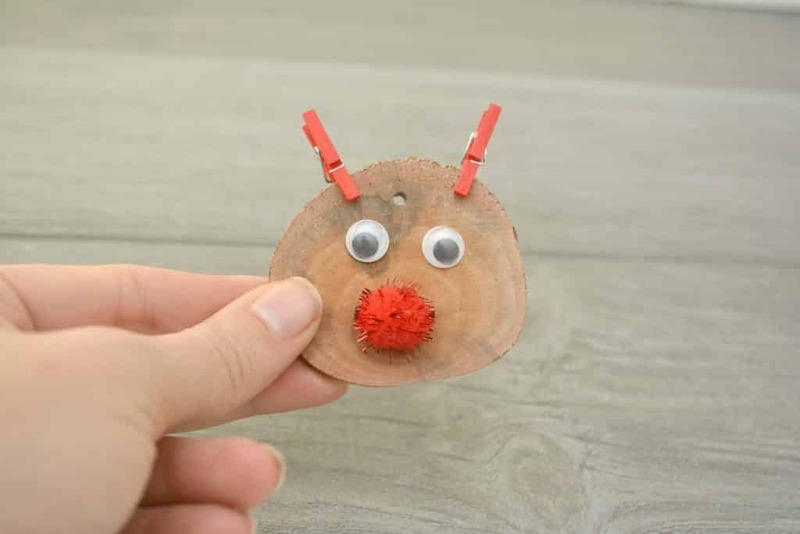 Kids of all ages with enjoy creating this cute and simple Rudolph Christmas ornament! 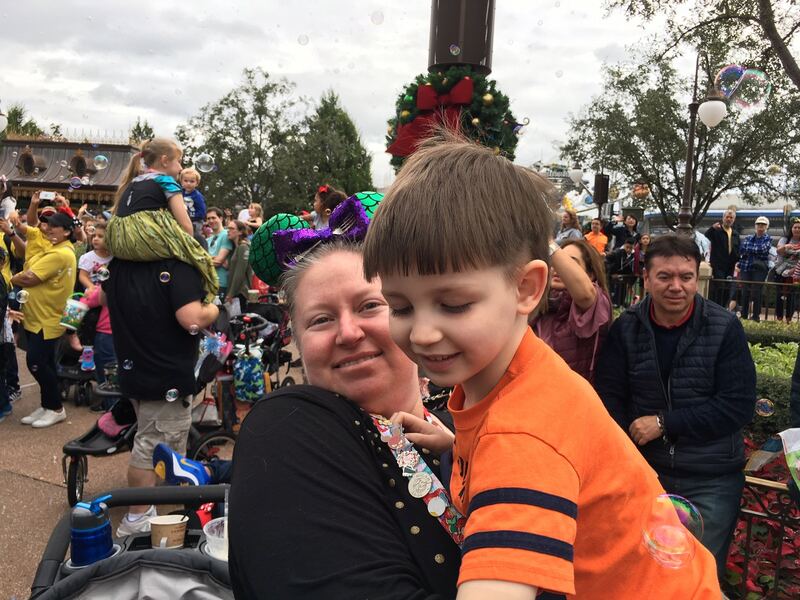 In just a few minutes they will have their very own Rudolph Christmas ornament that they can keep for years to come. 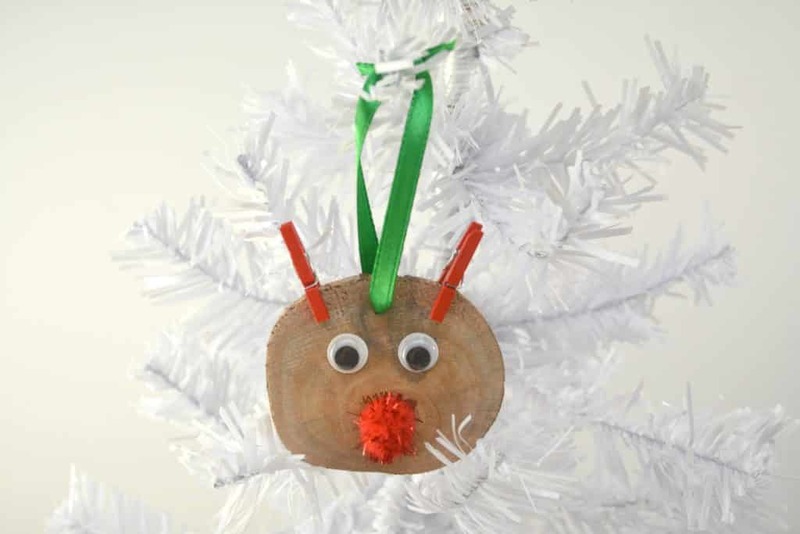 If you want to make more of Santa’s reindeer, you could use brown pom poms instead of red. 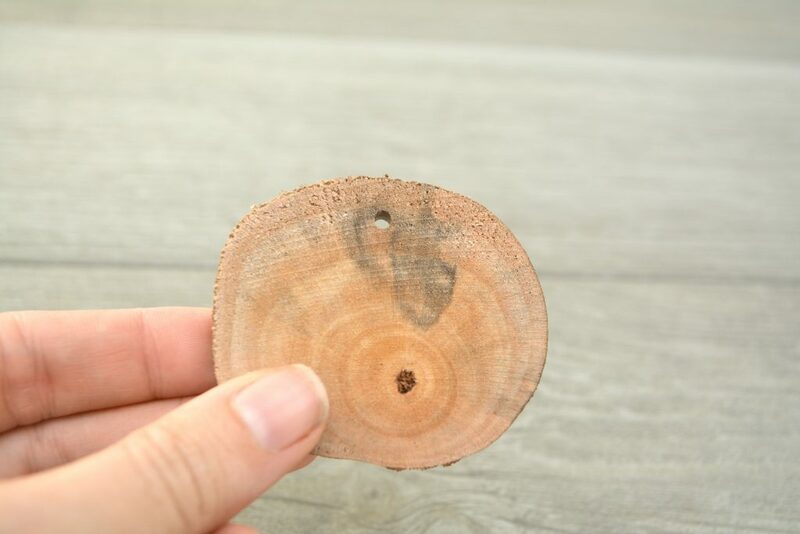 Begin by drilling a small hole in the top of your wood slices. You can skip this step if you purchased wood slices with a pre-drilled hole, or you can use glue to attach the ribbon at the end instead. 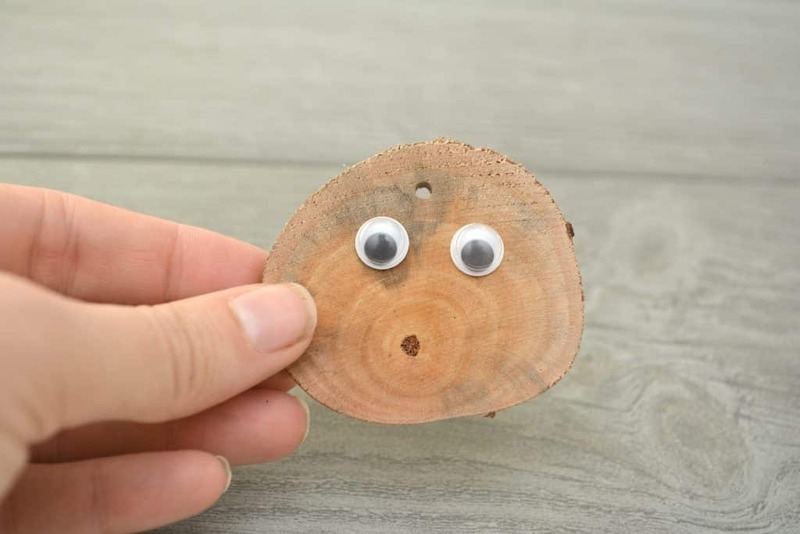 Glue on two wiggle eyes to the front of your wood craft slice. 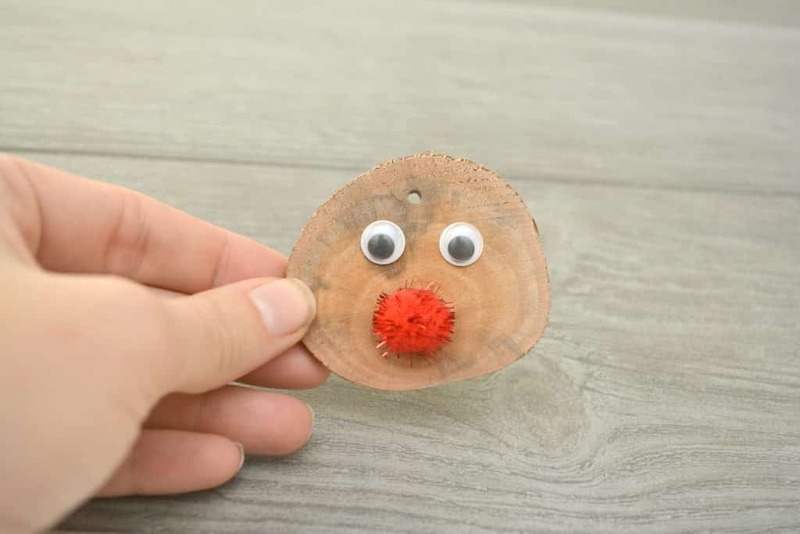 Use glue to attach a red sparkly craft pom pom to the front of your wood slice. 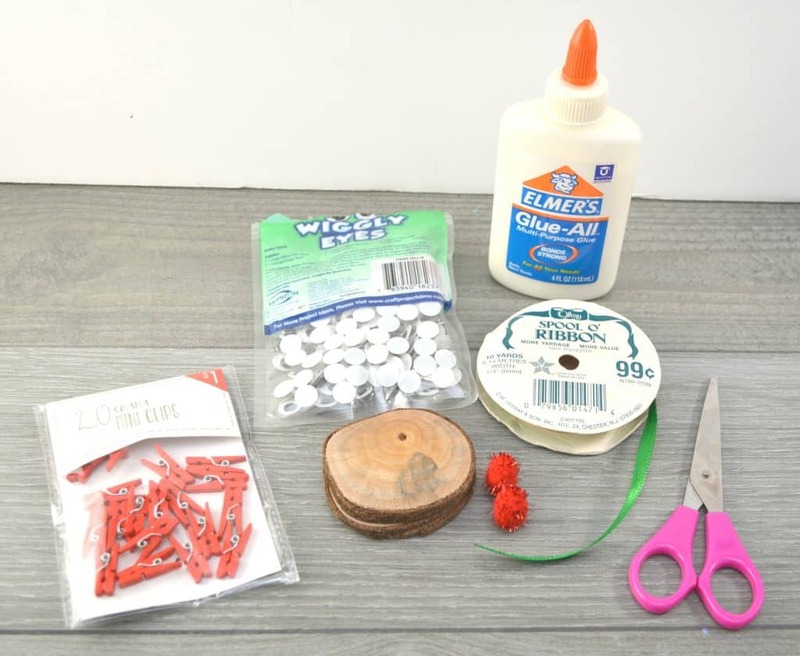 Thread a piece of ribbon through the hole in your wood slice, and tie it to make a loop that will be used to hang your ornament. You can also use glue at this point to attach the ribbon to the back of your wood slice if you do not wish to use a drill at all.